The traditional underrepresentation of Muslims in the police, army and bureaucracy now extends to elected assemblies. This is an excerpt from Majoritarian State: How Hindu Nationalism Is Changing India by Christophe Jaffrelot, published by HarperCollins. Between 1980 and 2014, the number of Muslim MPs in the lower house of the Indian parliament — and hence their percentage — diminished by more than half. This evolution is all the more significant as the share of Muslims in the Indian population rose during the same period. Consequently, the gap between their proportion of the population (which rose from 11.1 to 14.2%) and that of their elected representatives in the Lok Sabha (which dropped from 9 to 3.7%) increased fivefold, jumping from two to ten percentage points. Responsibility for this trend lies primarily with the BJP, which has only ever endorsed very few Muslim candidates, and this in constituencies where the party had a slim chance of winning, even as its group in parliament continued to increase in numbers. In 2009, the BJP fielded 4 Muslim candidates, or 0.48% of the total, and only got one elected. In 2014, it fielded 7 Muslim candidates out of 428 (or less than 2%) and none were elected. 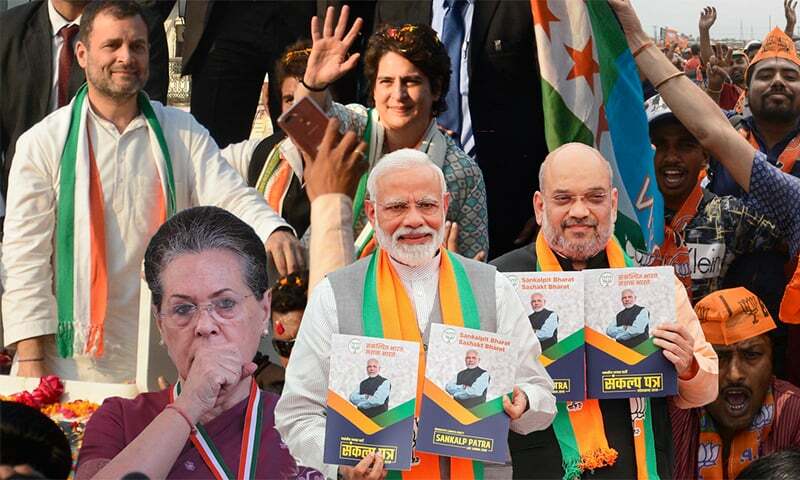 For the first time in India’s history, the winning party in the general elections had no Muslims in its parliamentary group in the Lok Sabha and therefore, in states such as Uttar Pradesh, India’s largest state, where Muslims make up over 18% of the population and where the BJP won 71 out of 80 seats, did not have a single Muslim MP (compared to 6 in 2009 and 10 in 2004). The formation of a Hindu vote bank by the BJP, which in particular aimed to sideline minorities in the political arena, prompted other parties as well no longer to nominate Muslim candidates, except in areas with a high Muslim majority. This tactic was especially clear in the Congress’ case, which the BJP accused of cultivating a Muslim vote bank by showing concern for their social and economic condition — a false claim if one goes by the impoverishment of Muslims under the UPA regime. In 2009, the Congress, unwilling to embrace its traditional secularism, only endorsed 31 Muslim candidates (or 3.7% of the total), among which only 11 won seats. That year, the parties that fielded the most Muslim candidates and got them elected were regional parties, starting with the Bahujan Samaj Party. Five years later, the Congress fielded 27 Muslim candidates out of 462 (less than 6% of the total). Among non-Muslim parties, only the Rashtriya Janata Dal (a lower-caste grouping based in Bihar), the Samajwadi Party, the Trinamool Congress and the CPI(M) fielded a percentage of Muslim candidates higher than the share of Muslims in the population (see Table 2). But in many cases, the candidates in question were in constituencies far from the areas where these parties were strongest. Not only did parties of all political stripes field fewer than 10% of Muslim candidates for the Lok Sabha in 2014, but above all, few of them were elected. Muslim MPs finally made up about 4% of elected representatives in the lower house. This underrepresentation, linked to the boom in Hindu majoritarianism, was reflected at the government level by an unprecedented situation. Only two members in the first Modi government – or less than 3% – were Muslims in 2014. Both had come from the Rajya Sabha (the upper house), given that there was none among the BJP MPs in the Lok Sabha and that only MPs can be appointed as government ministers in India. In July 2016, the minister of Minority Affairs, Najma Heptulla, resigned but was replaced by another Muslim minister in this position, Mukhtar Abbas Naqvi (minister of state prior to that). A second Muslim minister was then appointed in the government, M. J. Akbar, who became minister of state for External Affairs. Inventorying the loci of power in the Indian republic, veteran journalist and media personality Shekhar Gupta concluded, “India’s minorities have never been so out of the power structure. They are justified in having a sense of unease about it”. However, an examination at the level of the states of the Indian Union is necessary to make a full appraisal of the situation. Aside from the fact that there is no longer a single Muslim chief minister, the presence of Muslim representatives in state assemblies (as Members of Legislative Assemblies – MLAs) and governments (as Ministers or Ministers of State) is on the wane. In January 2018, out of 1,418 BJP elected representatives in these assemblies, only four were Muslim and only two members of the BJP state governments (coalition governments are not taken into account here) were Muslim. This situation holds true as much in states where the BJP has been governing for a long time (such as Gujarat, where the party did not endorse a single Muslim candidate in 2007, in 2012, or in 2017) as for those it recently conquered, such as Assam (30.9% Muslims), where out of 61 MLAs (enabling it to win the elections in 2017), it has only one Muslim elected representative. In general, when the BJP conquers a new state that was ruled by a regional party, the number of Muslim MLAs drops. The most spectacular example is found in Uttar Pradesh where, in 2017, their proportion went from 17 to 6%. While the figure of 17%, achieved in 2012 mainly thanks to the success of the Samajwadi Party, had brought the share of Muslim MLAs closer to their share of the population in Uttar Pradesh, that is, according to the 2011 census, 18.5%, the figure of 6%, associated with the BJP landslide victory, reflects an underrepresentation comparable to that of 1991, when the party had already taken control of the state. A similar diminution in the number of Muslim representatives was not noted systematically when power changed hands from the Congress to the BJP, simply because the Congress never fielded very many Muslim candidates, especially in northern and western India where the Hindu nationalists traditionally have the greatest influence. In Maharashtra, whatever the winning party, the portion of Muslims among the MLAs has never exceeded 5% (i.e. half the proportion of Muslims in the state), including when the Congress won, because it never endorsed more than 7% of Muslim candidates. In Gujarat, Muslim assembly members already made up no more than 1% of the assembly in 1990, prior to when the BJP came to power – and they have remained at this level, as the Congress never fields more than a half-dozen Muslim candidates in the elections. The situation is comparable in Madhya Pradesh and in Karnataka (see Table 3). In Rajasthan, by contrast, the Congress has always fielded the same number of Muslim candidates since the 1990s, despite the rise of Hindu nationalism. More interesting still, this number — between 13 and 14, or at least 8% of the candidates, a proportion close to the share of Muslims in the population, 9% in 2011 — is higher than it was in the 1960s to 1980s, a trend found, moreover, in Maharashtra. 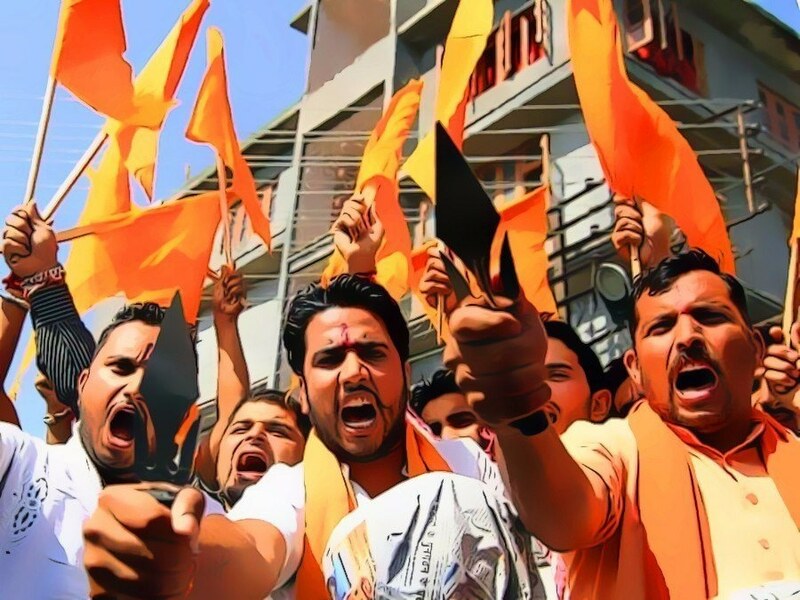 To sum up, while Muslims have traditionally been underrepresented within the institutions of the Indian republic, this phenomenon, which was primarily salient in the police, the army and the administration, has now been extended to elected assemblies owing to the rise in power of the BJP. But that is only one aspect of Indian-style ethnic democracy. 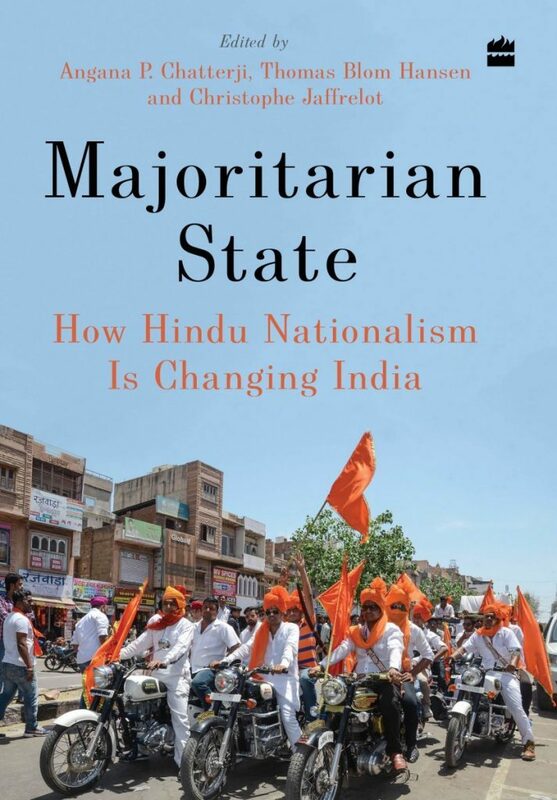 Majoritarianism has also developed with the rise of a new Hindu nationalist cultural police that seeks to control and put down minorities. Muslims are once again the main victims of this trend, which has strengthened since the years 2014-15 and of which the primary actors are vigilante militias generally working with the tacit agreement of the states’ police forces. This piece originally appeared on The Wire India and has been reproduced with permission. Nations whose policies are based on such tactics never survive or exist in long term. Only the qualified candidates were allowed in BJP. On the other hand JKNC has 0% non-muslim candidates. Muslims now need to band togather and protect themselves. How many minority MPs in Pakistan? Minority Muslims have majority in many seats and vote en-block that is why they have good representation in India. Excellent write-up, sir. BJP-RSS combo is not only a big threat to the minorities only but also to the Dalits and lower sects of hindus, as well. The secular ethos of Indian republic is being deliberately undermined and people who have been fighting for the cause are either mysteriously killed or disappeared permanently. When you point one finger at others, there are always three fingers pointing towards yourself. Aimim, national conference, pdp..how many hindu candidates are their..forget hindu ..how many dalits, chritians, buddhists are there? @Zak, Pakistan should take your hint. If you dont care to vote for BJP, why would they be very keen to put you up as an MP? First show you support the party where you want representation, show up, and stop bad mouthing them, then see the change. The analysis of how many minority members received ticket is an understandably flawed method to judge the fabric of democracy or the direction where a country is headed. Modi and BJP lost three crucial and big important states just a few months back. This verdict was the proof that Indian democracy and voters are mature and most important stake holders without any doubt. In depth data. Thanks Dawn. I don't find any Indian news showing these details. Doesn't just every news that reaches us from Modi's India convinces us more and more of the wisdom of our forefathers, especially of Allama Iqbal, who saw all this coming and set forth the course of history towards an independent Pakistan.Thank you Dr Iqbal. You were very right. Muslims vote in bulk for a particular party with an agenda which has promted majority to act similar. They have conferences late in night. Nation has little confidence in them. Try to analyze Sikh on the similar scale and you will find that they are represented very healthy in all the fields. Because they gave confidence to the nation. @Zak, for what reason ?? Because it all depends on merit and not Religion. You will not understand. @Zak, Don't talk about survival, India is there since ages when most nations were not even born. Have you really analyzed all the aspects? This is the only minority group who is jumping in population every year. Instead of education they busy in so called zihad. People are scared of them. @Zak, That applies to us also. @usr, What does Pakistan have to do with this? India's the one facing an election, everytime an observation is made why does it have to be compared to Pakistan? Bad argument. The article does not drill to the fact that a majority of Muslim population in India do not support BJP. That is the primary reason they do not participate as members of the party. Membership of BJP is not just limited to Hindus. To be heard, you have to part of mainstream parties. Ignoring the majority view will not get any community or nation ahead. If Muslims vote en-bloc against BJP, why would BJP have many Muslim candidates? BJP has not stopped any other party from putting up Muslim candidates. There are plenty of Jain and Sikh candidates in greater proportion than their population. Why? Finally in a secular country the basic assumption is that anyone of any religion can provide representation to those not of the same religion. Hindu majority Maharashtra has had a Muslim CM. Hindu majority Andhra Pradesh had a Christian CM. No one had a problem with that. Jinnah was right when he asked for separate electorates. Tyranny of the majority is something that he foresaw. But it has resulted in more meaningful and impactful laws for muslims like banning triple talaq. One place the Muslims are well represented is in Tamil Nadu with her Dravidian parties. The probable reason is that both Hindus and Muslims speak Tamil proudly --- unlike in the North where they sport the Hindi-Urdu delusion! One language, two scripts, two religious and eternal enmity! @usr, The analysis is about India. "Whataboutism" so frequently used by argumentative Indians is absurd. @Zak, You are right. In 2014 it was so absurd that muslims candidates from different parties competed against each other and lost to BJP candidate in Muslim majority constituencies. Muslims should stop dividing their votes and helping BJP candidate to pull off improbable victory. @usr, In Pakistan any minority candidate can fight election from any constituency and get elected. On top of that, there are reserve seats (I guess 10 in National Assembly and 4 in Senate) for minority community. Yet it is not good enough and I wish a day comes when citizens will not be discriminated based on their belief read religion. This trend will continue if BJP wins the elections... sidelining minorities is their mantra which has resulted in indifference and frustrations by them due to intimidation because of the hindutiva fanatics..they conciously believe that even voting in the election will not bring about any change in their status..the Congress party has always been in favour of Muslims and they shouldn't let any divisive dirty politics scare them voting for the right party in office..
@usr, Pakistan constitution guarantees proportional representation of minorities in the parliament at the minimum. Irrespective of any religion, only winnable candidates are nominated for elections. It is true with all the political parties. So then it is open to every one to draw the conclusions. @Zak, "Nations whose policies are based on such tactics never survive or exist in long term" Which nation are we talking about? Let's think about ourselves than putting our feet into our mouths, and learn to stand on our own two feet first. As it stands, the Indians can afford to experiment, as whatever they are doing seems to be working at the macro-level - economy, infrastructure, resource-sharing, institutions, courts, diplomacy, alliances, foreign investment, growth rate. And they keep adapting their system constitutionally... Let's just forget them and hope for the best for our system. Pakistan zindabad. Very bad situation in India. In our islamic republic we generously offer parliment seats to minorities like hindus and christians. India has to learn from us how to treat minorities with respect and dignity.. I don't understand if this helps anyone blaming one political party in the name of right wing while truth is different. Certainly, title is deceiving but who cares when visitor clicks only matters. You missed the point. In a secular country, candidates religion is not listed. Look at West, all candidates are Christians. Look at Muslim majority countries, same analyses will give dismal numbers of minorities if any. In your analyses some parties have 100% Muslims. Indian Muslims, are themselves responsible for making them irrelevant in India’s politics. 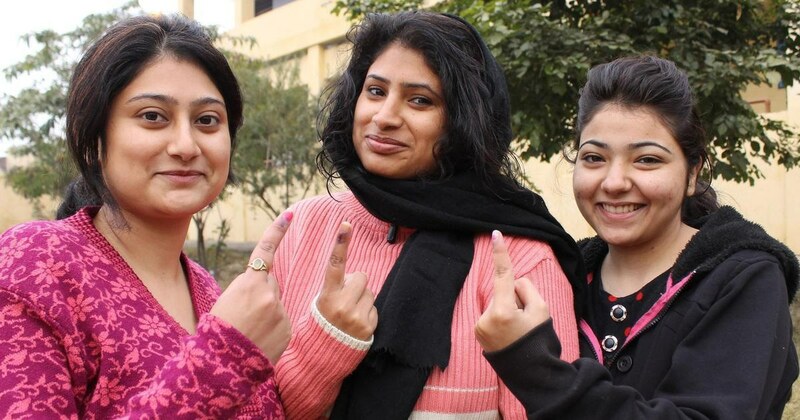 They created their own ‘Vote Bank’ and under the fatva dictats of Imams, Mullahs and Ulemas they started ‘Strategic Voting ‘ not for selecting good candidates or parties, but only to defeat BJP. Now this is the backlash from Hindu vote bank! India should have a few token seats for Muslims like the minorities in Pakistan and Anglo Indians in India. all other minorities have a larger than their population representation. Among all the major democracies India has the highest rep for minorities. Check Jains, christian representation against their population in India. Something for the Muslims to ponder why other groups are more successful. Democracy is never a perfect system but the best we have today. Abdul Rehman Antulay was Chief Minister of Maharashtra - never mind the 5% of Muslims that may have fielded as candidates. Dawood Ibrahim Kaskar, Haji Mastan and Karim Lala ruled the streets of Mumbai, never mind the percentage of Muslims. The 3 Khans rule Bollywood, never mind the percentage of Muslims. Candidates are chosen only on probability of winning the election, and not on basis of any other reason like caste. @Javed, Indian Muslims are enjoying all rights under the democracy, which other Muslims are not even close to, worldwide. But, I must say they are themselves responsible for their condition, that is economic backwardness and illiteracy among them because they allow politicians and maulvis to manipulate them and played at their hands. @Raju, at the end, it is clearly written as "This piece originally appeared on The Wire India and has been reproduced with permission". We are not concentrating on the the important issues like this and are interested in watching TVs. Problem is with the minorities who formed few small small parties and aligned to other parties who is gaining from alliance allowing one Muslim candidate to win; but unfortunately either they will not raise any voice or their voices may not be heard. @Anon, our PM does not spew out hate. You need to learn. 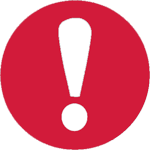 @Vectra, No India but countries within the indian union. Correct yourself. @riz1, Spoken like a true brain washed Indian. Just see the size of your debt at $680 billion, the mother of all debts, and you will go into depression. Then India will not be a TRUE democracy. @usr, more than their population. In Pakistan minorities carry double vote, on reserved seats for minorities and general seats. @Babu, This is your conclusion after reading this article. sad. @Bikram Singh , who is your self in this case? Perhaps because of Hindu majoritarianism Qaide Aazem thought there will no or very few MPs in Indian parliament and its consequences. @Z. Saadi, But at the cost of Muslims left in India. @Avi, Can you point a single case of zihad in India. @Raj Batra, The philosophy of the part dictated by RSS is anti Muslim and supported by Hindus in general. India follows "first past the post" system which allows parties / candidates to win seats even with 30% voteshare as long as none of the opponents pick up more than that. Muslims have mastered the art of tactical voting which allows them to wield considerable influence on eventual outcome even when their population is just 10%. The strategy of muslims and "secular" parties is simple. Divide the 80% Hindu population into various castes and then promoting any caste with decent population ratio (say, 20%) and add the muslim bloc of say, 10% to it and win seats as long as other Hindu communities continue to remain divided. This has allowed muslims to wield disproportionate influence over election outcomes and policy making with former PM Manmohan Singh going as far as saying that muslims have first right over resources. As far as muslim representation is considered, I believe many muslims are happy to play a second fiddle by voting for the Hindu candidate as long as they are kingmaker. BJP of 90's and today is different. It is a national party and will remain strong in years to come. Instead of bad mouthing for any good too that is done by BJP and voting enbloc against it, Muslims should join BJP too as members (have their representation in the party) as they have in other parties. Point being, you can influence if you are part of the team in a better way than being a spectator. @Z. Saadi, I don't think so. Had partition not happened, wouldn't Punjab, Bengal, Sindh and even UP and Delhi elected many Muslim candidates? 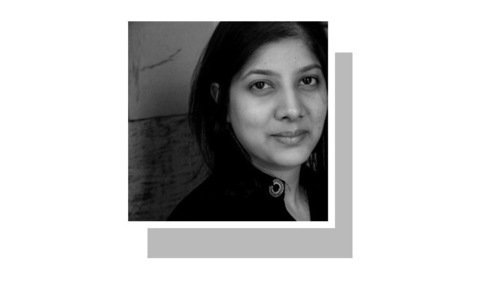 Due to partition many influential Muslim families migrated from Indian provinces to provinces that are now in Pakistan, leaving mostly the poor and socially weaker sections behind. If you see in Pakistani Punjab (not Sindh), you will notice a mirror image of that. Muslims vote against BJP. BJP shored up by Hindu and others. Then how can they gave seat to Muslimeen? Because if they do their Hindu vote bank wont select BJP. Muslim should join with majority and have diverse voting pattern so they will be widely represented like Christians and Sikh. Because all follow the imam they are treated only as a vote bank by other parties. @Zak, Worry about urself, dont teach us policies, see in mirror where ur and where we are. @Zak, Agree wholeheartedly. That’s what caused the creation of Bangladesh. They are doing much better today with better economy and care for the citizens, all inclusive! If we do not learn from our history or even from other’s mistakes, chances are that the history will get repeated! Divide and rule worked for the British in the old era, this should have no place in the modern society and should never be encouraged by anyone! Peace to you brother! Thanks to Jinnah that he gave us a free land in Pakistan. @Babu, that is no longer true. @Kumar, I agree with Kumar.